Because this genius forgot her camera at her in-law’s last night, I had to dig deep for some photos for this post. I’ve been meaning to tell you about this pasta I took for a test drive, so instead of a picture of the 37 lb turkey we feasted on yesterday, you’ll have to settle for this. 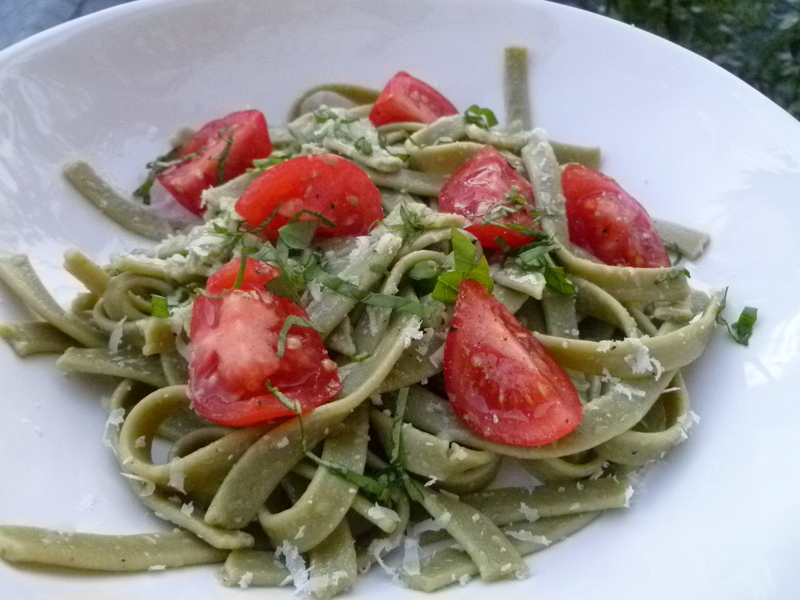 Add some garden tomatoes, balcony basil and a little parmesan and life is good. Or with oven roasted tomatoes, olive oil, peppers, onions and leftover ham. It takes just minutes to make and if you have some red sauce in the freezer, you’re in luck — dinner is served. And they aren’t just another company looking to make a buck off the gluten-free label, the owner actually started the GF line of pastas when a friend of his could no longer eat regular wheat pasta. (yay for us!) They are located in Madison but you can find their products at Whole Foods and other stores as well, just check out their store locator. Up next is making more of our own pasta with our new attachment for our KitchenAid. Guessing it will be a tad easier than the last time we made pasta and rolled it out by hand. 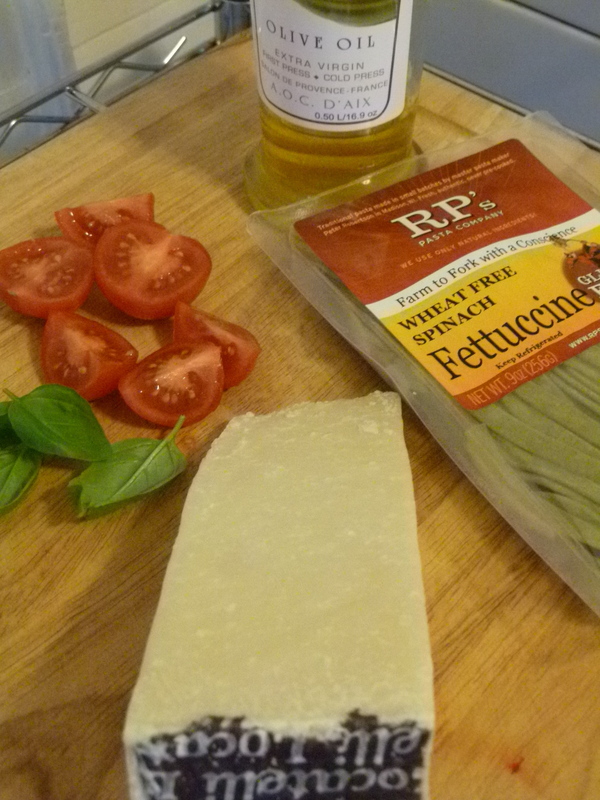 But for now, I’ll take a package of RP’s for an easy weeknight meal. 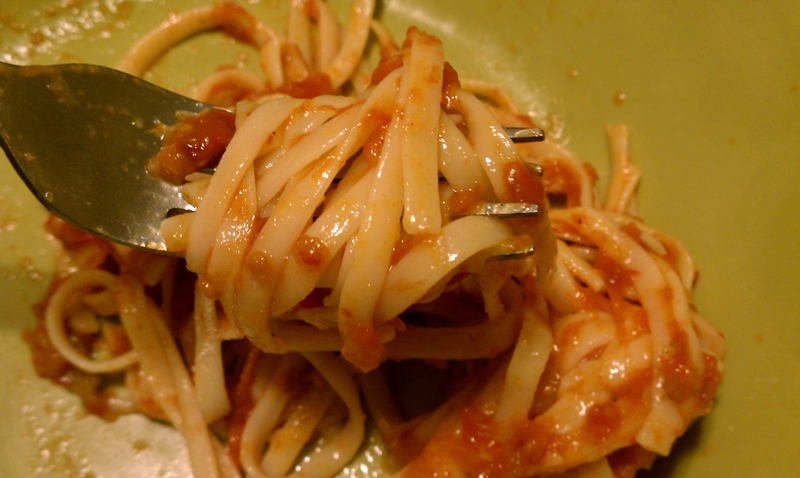 Do you have a go-to GF pasta? Do tell. 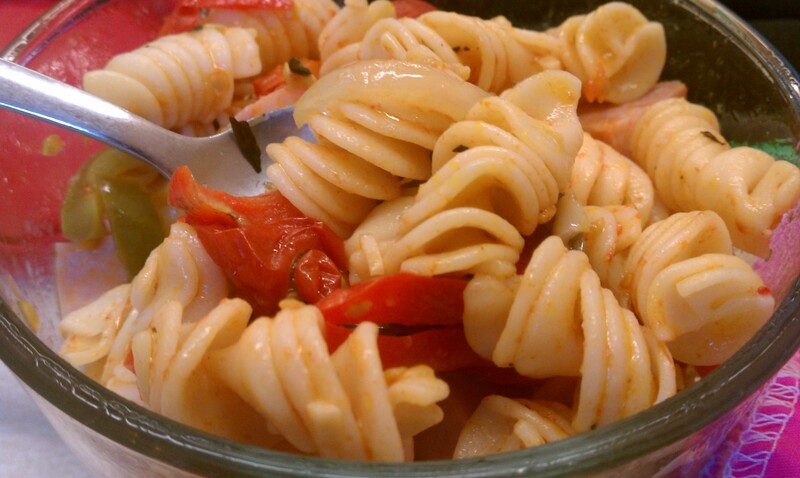 Posted on November 25, 2011 by Sarah @ Celiac in the City •	This entry was posted in CITC suggests: products you might like too, Friday Photos/The View From Here and tagged gluten-free pasta easy meals, RP's gluten free pasta. Bookmark the permalink. Love the RP Pasta! It is SO flavorful! we are big fans. love a pasta that doesn’t have to have a lot put on top, it’s that good alone!